The things stars do for money! Shining brightly in front of our TV screens in their flawless skins, stars come out to sell dreams, shampoo and biscuits. So far, so harmless? But, evidently, even the mighty can fall. There are times when, in the bid to earn some quick bucks, the biggest of stars deign to make a complete fool of themselves in silly commercials. Here’s a look at some superstars at their inane best. 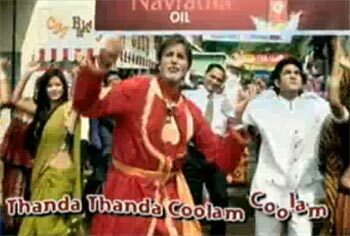 If selling chocolates and chavanprash wasn’t enough, Big B jumps up and down, to and fro in a frilly red folk dancer costume dishing out his most OTT expressions ever trying to convince us the said hair oil will rid one of a tensions and headaches. Ironic, isn’t it? If you thought Lux commercials are all about Bollywood’s sultry ladies floating sensually in bubble baths, think again. Shah Rukh Khan takes the metrosexual man to another level flaunting his bath tub sexiness as the male face of Lux, rose petals and all. King Khan indeed. In a complexion discriminating society, the last thing you need is celebrities endorsing in fairness/lightening creams. 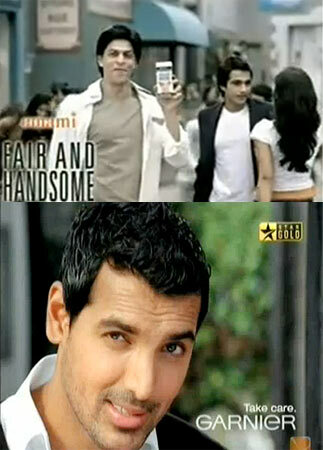 But Shah Rukh Khan and John Abraham do just that in these tacky commercials. How about promoting Protinex instead, tough guys? Misleading, silly and corny, one would not expect the Bipasha Basu to waste her star power on an advertisement as dumb as this one. The star of Guru breaks into an impromptu jig to the beats of Tamil chartbuster Appadi Podu, thanks to his vibrating Motorola every two seconds. 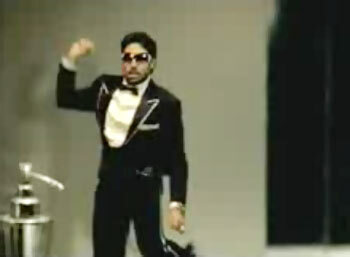 And while the ad is inarguably balmy and suggests the phone more of a nuisance than a technological need, Bachchan Jr is seriously droll. Do you really think blue-eyed Lolo knows anything about grocery? 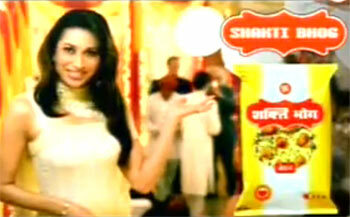 So you can imagine how ridiculous she looks trying to convince us the merits of Shakti Bhog atta-chawal and what not.